Big Island of Hawaii Banana Date Bread. 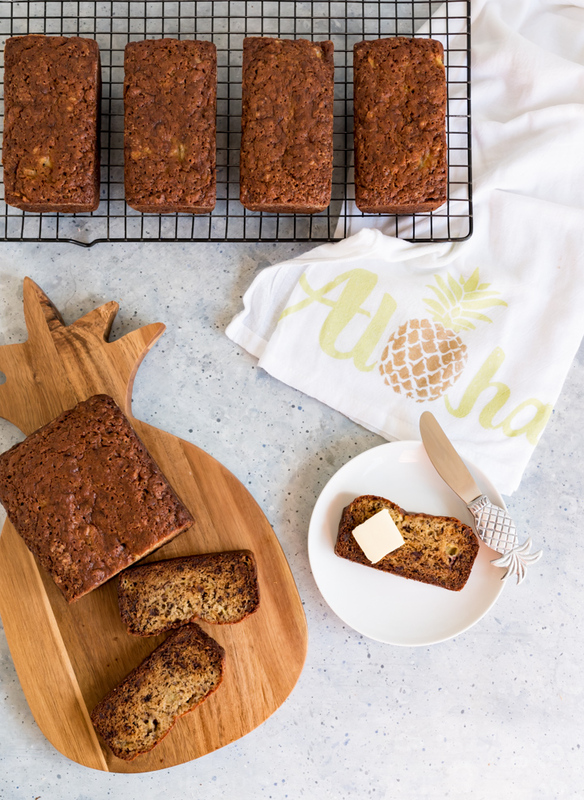 Banana bread is a must eat in Hawaii, with each island having its own version. Delicious versions at that. Maui might have the most famous banana bread from its stands along the ever so windy Hana Highway, but the best I have ever had comes from a small fruit stand south of Kona on the big island of Hawaii. 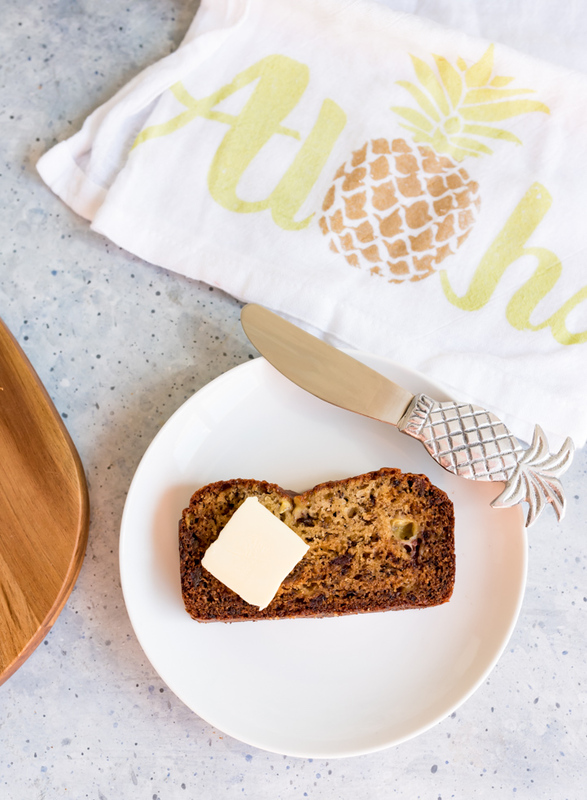 Banana bread is one of our favorite snacks in Hawaii. 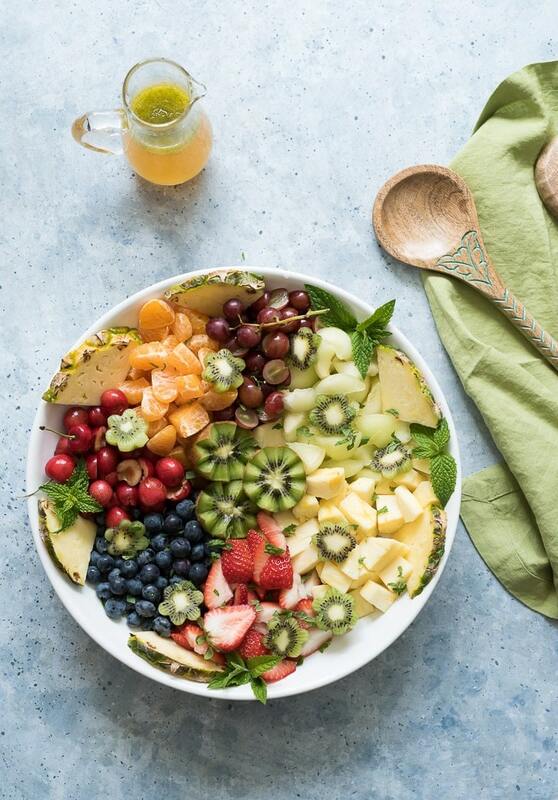 Easy to keep in a cooler in the car to snack while on the road, at the beach, or to slice up with island fresh eggs, avocado and pineapple for breakfast. I know this day and age everyone is all about apps and everything digital but when it comes to travel, even Hawaii travel, I am old school and still use travel guide books and maps. I love them. My favorite are the Revealed series by Andrew Doughty. I have several editions for each island and have used them extensively on all of my trips. I have discovered alternative routes to hikes, beaches and less touristy restaurants. 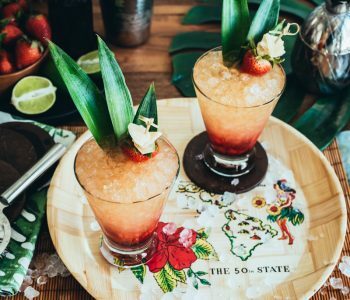 We found some amazing places to eat when we were on our honeymoon on the big island with the The Big Island Revealed guidebook. 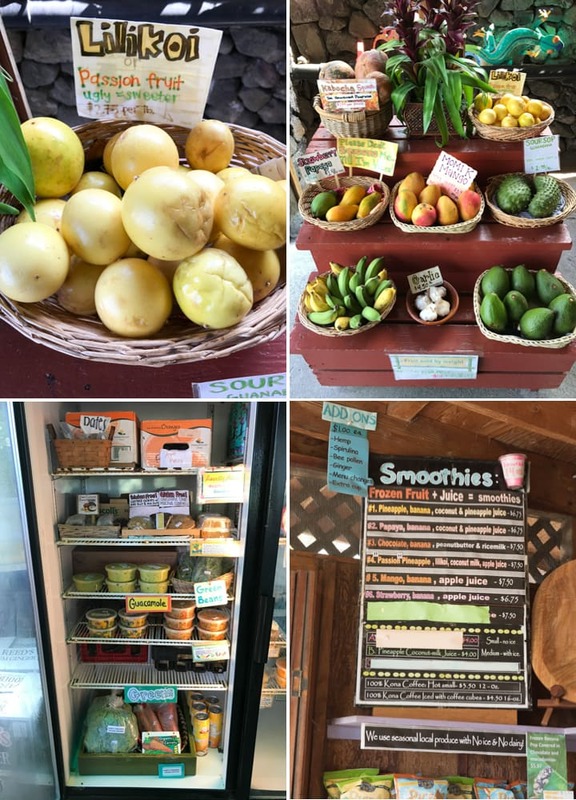 When we went to Kona in June of this year we were headed to the Volcanoes National park from Kona and I was flipping through the book for places to stop for coffee and snacks. I came across a quick blurb about the South Kona Fruit Stand in the South Island Sights of the book. Andrew writes is the best fruit stand on the west side of the island. We were getting hungry so I figured why not stop by. 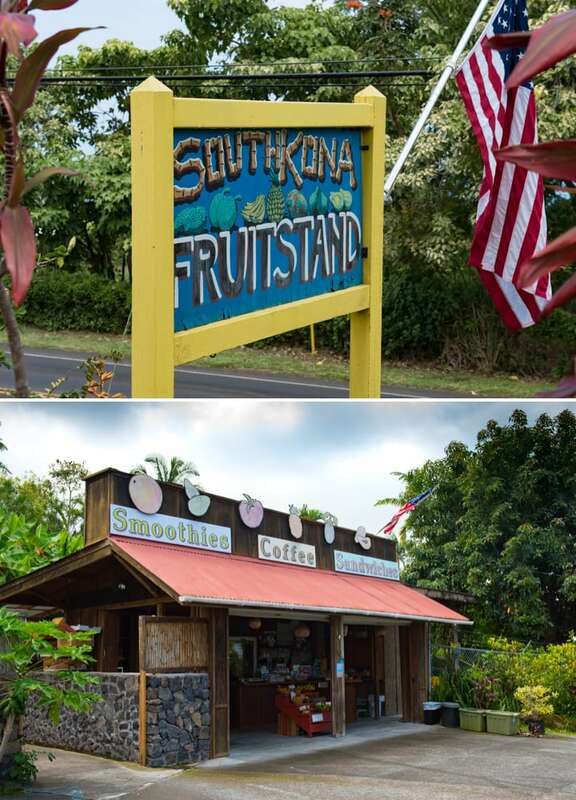 The South Kona Fruit Stand is located Mauka ( mountain side) of highway 11 just south of Honaunau between mile markers 104 and 103. The mile markers are very visible, even on the windy highway, and the fruit stand has its own circular drive as well as parking spots. There is a small area next to the fruit stand with picnic benches and umbrellas to sit and enjoy your purchased fruits, smoothies and snacks. All the produce and coffee is grown on the adjacent farm. Everything varies seasonally. It was neat to see what they had available at their stand in June and again in August when we went back for another couple of weeks before school started. The first time we stopped by I bought a couple mini loaves of their banana bread and pineapple jackfruit bread. As well as the most amazing passion fruit Haupia I have ever had. We got smoothies for the kids, coffee for us to drink, bought a few pounds of the coffee grown on the farm as well as some roasted macadamia nuts. My kind of grocery shopping. One of our favorite fruits to eat while on vacation in Hawaii is apple bananas. They are smaller than the typical Cavendish bananas you find in mainland grocery stores, a little starchier but much creamier and sweeter. 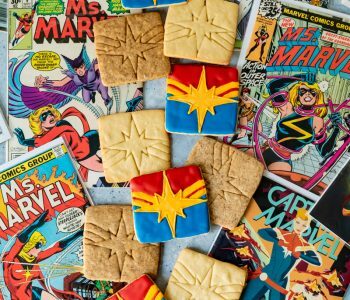 They are perfect for baking banana bread. The second summer trip to Kona we stopped by the South Kona Fruit Stand on the way to Pololu Black Sand beach for these apple bananas, coffee, smoothies and banana bread. This time they had made banana date bread. I bought two mini loaves. One we shared on the road to the beach. It was the best banana bread I had ever eaten. Even better than the world famous banana bread from Maui. I knew I wanted to recreate it when we got home. Only problem would be I wouldn’t have apple bananas to make it with. 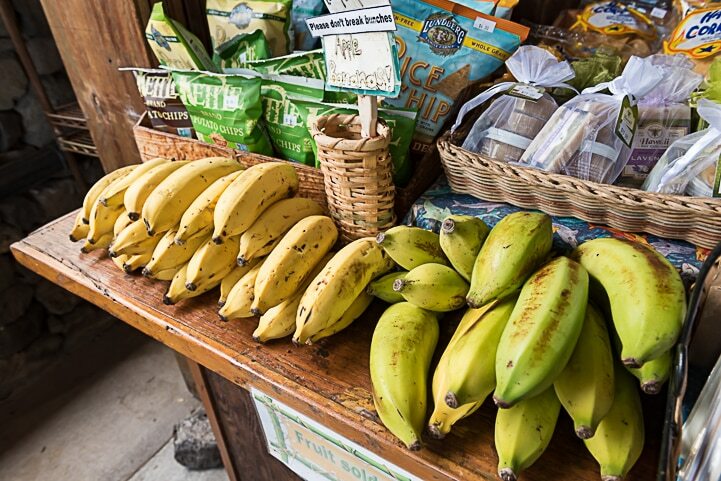 Apple Bananas are one of the many fruits grown on the Hawaiian islands that aren’t allowed out per Agricultural law. Which is unfortunate since I would fill a suitcase with them to bring home. Instead, I filled a suitcase with Hawaiian white pineapples, because pineapples are allowed to be shipped to the mainland. Even ones from grocery stores and farmer’s markets, not just the ones packaged to go at the airports. We stopped by the upper Waikoloa Village for lunch one day on our trip in August and there was the cutest second hand shop near where we ate called Island Clutter Consignment shop. I had to venture in to see if I could find any vintage Hawaiian cookbooks to add to my collection. I found one from 1977. 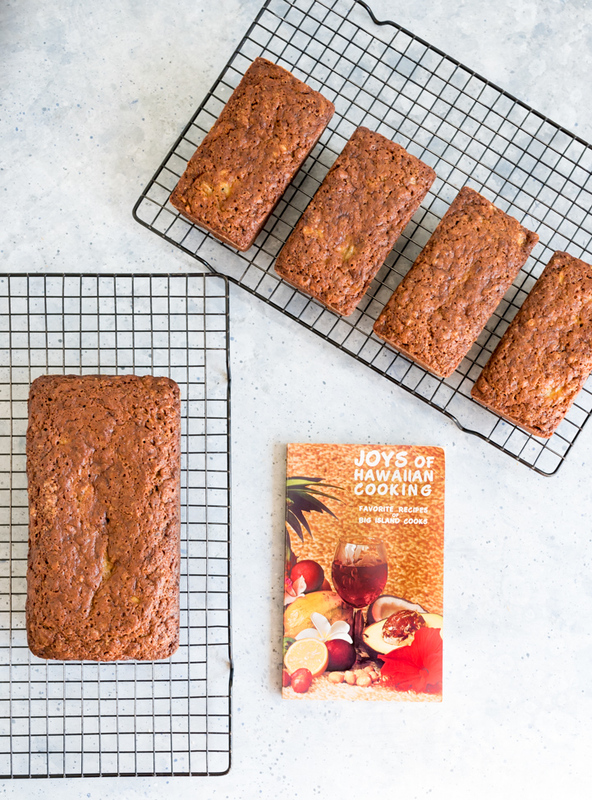 I thumbed through it and found a recipe for banana date bread. I bought it along with a vintage painting and serving tray. I made the banana date bread as soon as we got home. And it was almost the exact same as the one from the South Kona Fruit Stand. I am certain if I had apple bananas for the breads it would have been the same. Since I had bought mini loaves in Hawaii I decided to make one regular size banana date bread loaf and four minis. My mini tins are a little smaller than the loaf size we got in Hawaii but not by much. I think if I had made 2 regular size loaves or one and three mini’s they would have been bigger loaves. The flavor was still amazing even if smaller loaves. The dates add a caramel like sweetness while the bananas keep it super moist, melt-in-your-mouth goodness. 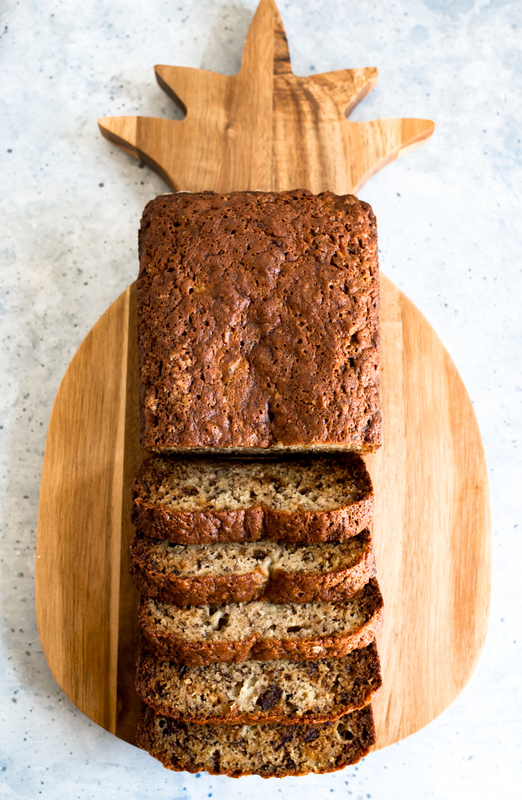 One of the things I love most about banana bread is how simple it is to make. 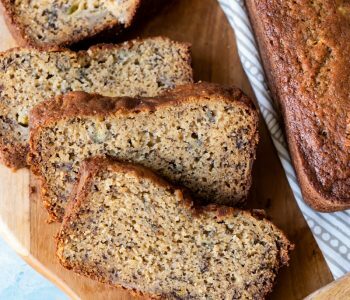 Have a pile of overripe bananas? Make banana bread? I freeze a lot of almost too ripe bananas for smoothies or banana “nice cream” or I make into banana bread or muffins. This recipe would probably make great muffins too. The bread freezes well and reheats nicely. I always freeze half of the loaves to save for another day, I usually give one or two away to friends and we eat one as soon as its cooled down the day I bake it. It doesn’t often make it to breakfast the next day. 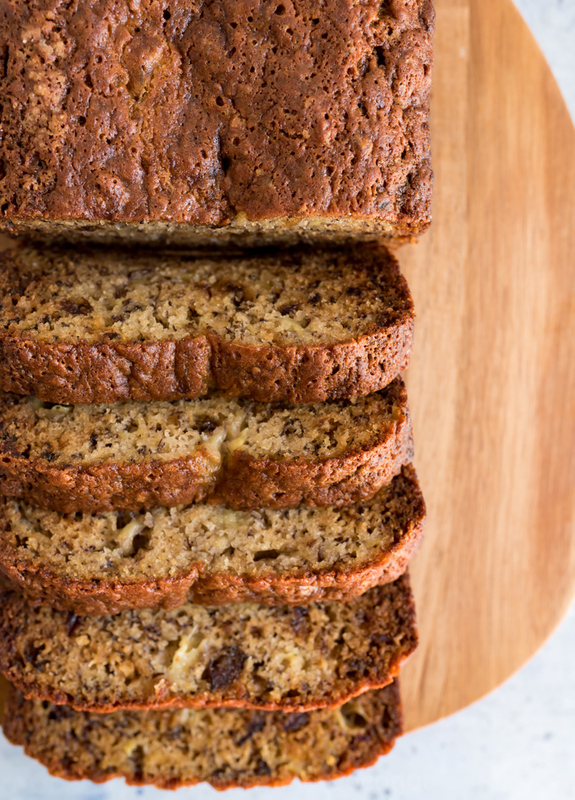 We love our banana bread. Its really good as is or with butter or cream cheese. 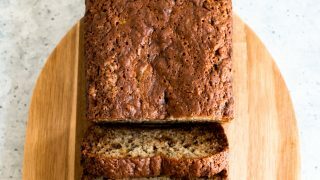 This banana date bread would also be amazing with shredded zucchini added in, topped with shredded coconut, any kind of nuts added in such as walnuts or my fave, macadamia nuts. Chocolate chips would also be a yummy addition. 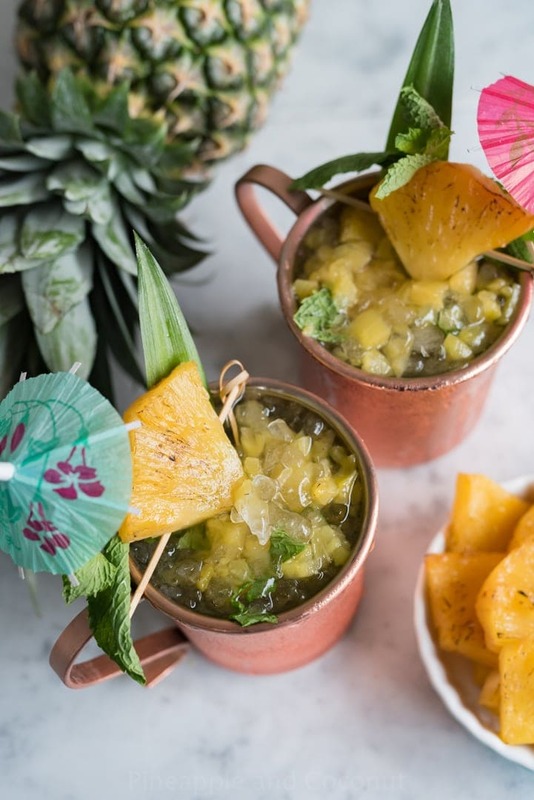 Or chopped dried or fresh fruit such as pineapple. 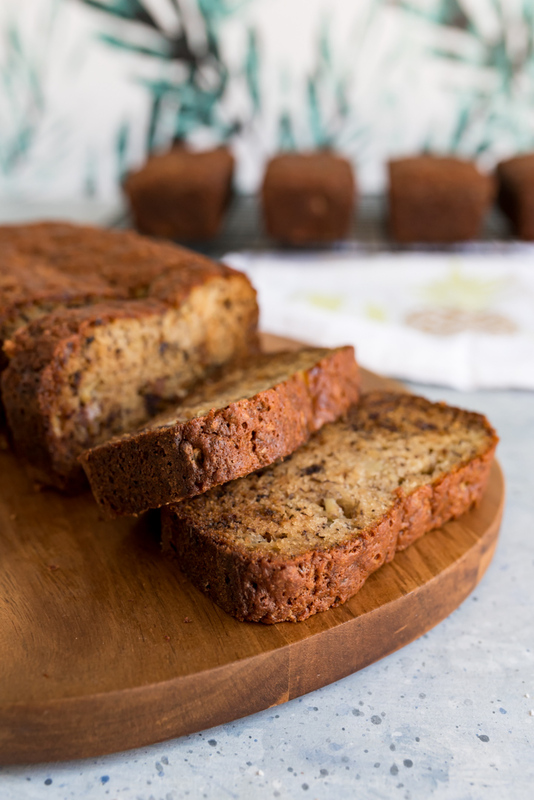 I love how versatile banana bread can be, and it freezes well so you can eat one loaf now, save some for later so when you get that craving all you have to do is thaw and eat! Mix together the flour, baking soda, salt and sugar. Add in the dates and mix well by hand to separate all the date pieces and cover in flour so they wont sink to the bottom of the bread. Divide amongst the tins and bake for 40-45 minutes on middle rack of your oven. You can place the mini tins on a baking sheet and place everything on the same oven rack. Let cool for 10 min in tins then remove to wire racks to cool completely. 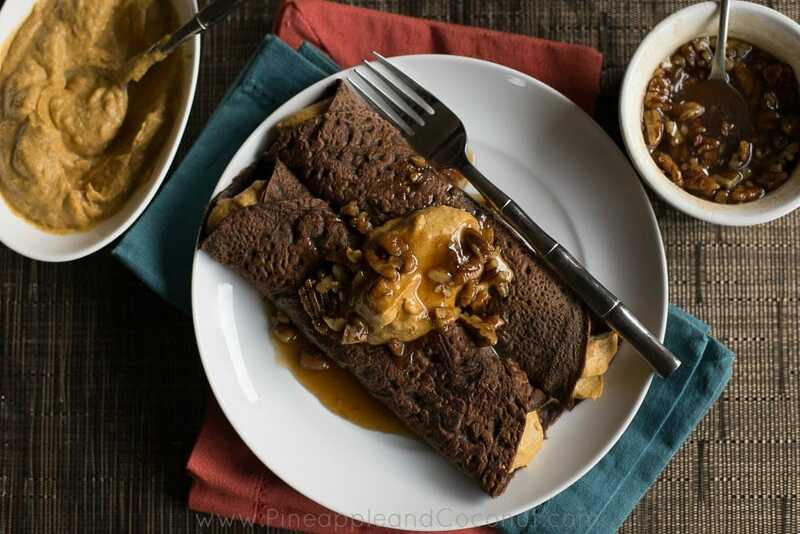 Excellent served with a little butter or cream cheese and of course a cup of hot Kona coffee! 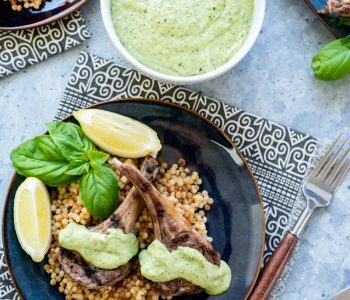 Can I replace the avacado oil with olive oil, butter, or canola oil in this recipe? You could use another oil, I haven’t tested it with butter so I wouldn’t suggest that unless you want to try it. 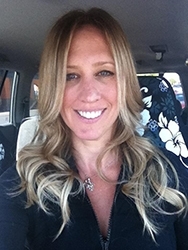 I prefer to not use canola oil since it is one of the un-healthiest oil there is.